Victoria Reyes, 82 years of age, of Houston, Texas passed away on January 11, 2019. 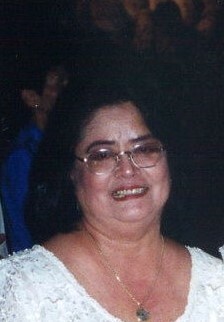 Victoria was born on May 14, 1937 in the Philippines to Ernesto and Manuela Mariano. Victoria precedes in death her parents Ernesto and Manuela Mariano as well as her husband of 56 years, Antonio C. Reyes who passed away on January 24, 2018. Victoria was a Pharmacist for many years at Herman Hospital Medical Center. Her hobbies included: cross stitch, crochet, jewelry making, and shopping. Daughter: Rowena Kliner Son: Reginald Reyes, Rhoel Reyes (Tiffany). The staff of Unity Funeral Home gives the Reyes family our deepest condolences at this difficult time.